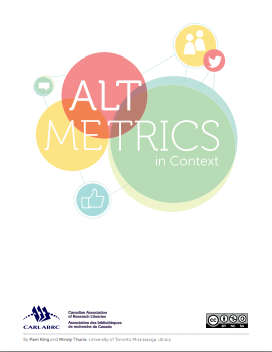 Many libraries now offer workshops for faculty and graduate students on altmetrics and other research metrics. Here, we've collected some of the very best for your reference. For a "meta" view on designing a library workshop on altmetrics, see Young-Joo Lee's poster, which describes how she conceptualized her workshop's design--from needs assessment to delivery to outcome measurement.